Adam has built a strong reputation with both claimant and defendant firms for being a tenacious and highly effective advocate with a formidable attention to detail. Adam specialises in the areas of personal injury, occupational disease and employment law. Adam has a wide practice in civil law including claimant and defence work, both in court and through a busy paper practice, providing pleadings and advice. Adam is acknowledged by clients and colleagues at the Bar as a rising star both in chambers and on the North Eastern Circuit for his civil practice which predominantly covers personal injury (form RTA Protocol to Multi-track claims), Credit Hire, RTA fraud, public liability, employer’s liability, occupier’s liability and costs work. In the past few years Adam’s experience has extended into occupational disease work where again he now also regularly acts on behalf of claimants and defendants. Adam has experience in the full range of work within this discipline, including asbestos matters, respiratory diseases, HAVS, RSI and NIHL. Food Poisoning – Carriage by Air Disputes – Person Injury – Fatal Accidents – Employers Liability claims. 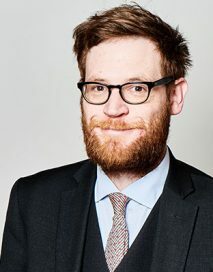 Adam has developed considerable experience in representing employees, Trade Unions and employers in tribunals across England, Wales and Scotland as well as the Employment Appeal Tribunal. He also undertakes advisory work and assists with alternative forms of dispute resolution. Particular areas of expertise include discrimination, unfair dismissal, whistle-blowing, TUPE, working time, and redundancy. Adam regularly appears in multi-week tribunal hearings as well as claims on behalf of multiple claimants.